This page is dedicated to UK marketers trying to make sense of the digital landscape. If you need to give a client UK stats rather than settle for a global or US view, I hope you find these figures useful. Just how big is the Social Networking juggernaught? We hear lots of big numbers in the same sentence as ‘Facebook’ but what does it really mean to UK businesses? Find out if advertising on Facebook is a worthwhile opportunity. It’s free and it would be great if you could tweet about it or share it on Facebook. Is Google the only game in town or do we need to take other search engines seriously? 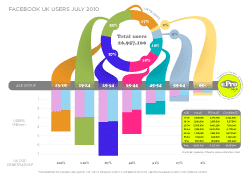 Take a look at the UK specific market share figures. Data coming soon (Bookmark this page, grab my RSS feed or follow me on Twitter).